Caption slip reads: "Photographer: Snow. Date: 1959-12-27. Reporter: Mullen. Assignment: 60th wedding. 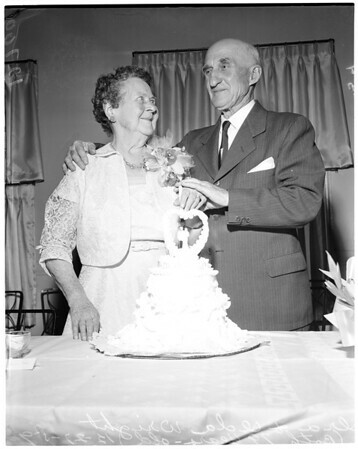 3/4: Ira and Lola Wright, each 79, cut cake".